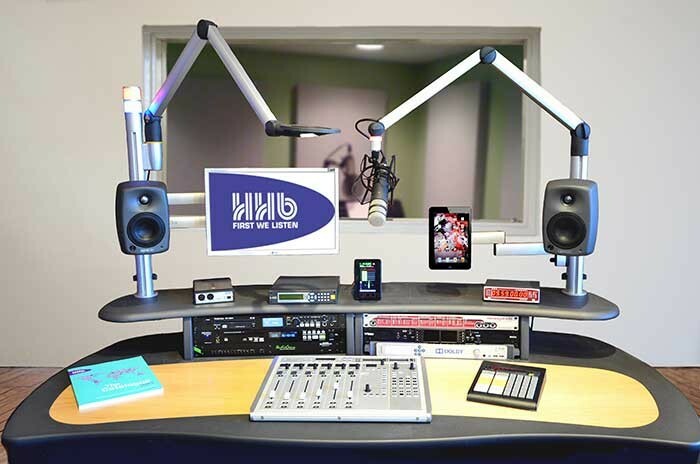 HHB Communications Ltd. will make several new announcements at the IBC 2013 show with co-exhibitors TC Electronic, Dynaudio Professional and Mogami Cables on Stand 8.D56 in Hall 8. Located at the entrance of the show’s Audio Hall 8, HHB is one of IBC’s premier audio technology suppliers with over 37 years’ experience supplying state-of-the-art products for OB, live production, post production, playout and archive. The company will be demonstrating a range of MADI, audio and loudness metering, measurement and correction tools, in addition to a selection of portable audio recorders, broadcast consoles, loudspeakers and microphones, Avid Pro Tools software and hardware and Mogami ‘Cable for Life’ cables. Co-exhibitors TC Electronic will be highlighting its range of audio loudness monitoring products, including the new DB6 loudness management solution. The DB6 is a TV and Mobile TV transmission processor that handles loudness metering at the input stage, up or down conversion, loudness processing and on-line lip-sync delay, in addition to loudness metering at the output stage and logging of all relevant loudness statistics. It has been designed as a transparent one-step loudness management solution, regardless of codec and delivery platform. The Dynaudio Professional DBM-50 studio monitors, featuring a unique front baffle tilt for perfect desktop placement, will also be exhibited. And whilst some of the biggest announcements will be unveiled on the first day of the show, HHB can reveal that it will be exhibiting the latest broadcast products from Yellowtec, and a range of innovative microphones from RØDE, including the new Broadcaster and the iXY and smartLav iPhone microphones, and much more. The latest Genelec loudspeakers with advanced power-saving technology will also be on display. The new Yellowtec Pad Dock, which adds an iPad and PC Tablet arm with QuickFix for mounting to the m!ka mounting system, will be on show alongside m!ka’s existing monitor, loudspeaker and microphone arms. 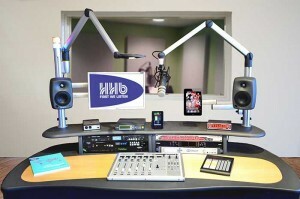 A variety of Yellowtec’s products, including the iXm digital recording microphone, will be exhibited in a new dedicated radio solution’s area, where visitors can also demo Studer’s OnAir 1500 console. As one of Europe’s leading Pro Tool’s suppliers and an Avid Elite Reseller, HHB’s stand will feature the powerful Pro Tools HDX system and new version 11 software. Pro Tools 11 offers even more tools to handle the most demanding sessions. Several leading manufacturers have introduced AAX versions of new and popular plugins for Pro Tools 11 that will be available to demo on the HHB stand. These new releases will bolster HHB’s comprehensive portfolio of broadcast audio products from Blackmagic, BroaMan, Denon, DiGiCo, DK-Technologies, Dolby, JoeCo, Marantz, Nugen, PreSonus, RME, Roland, Rosendahl, RTW, Rycote, Sonifex, Soundfield, Studio Technologies, Timecode Buddy and Wohler. Visitors are invited to stop by HHB’s stand to pick up a free print or digital copy of the HHB 2013 Catalogue. With information on over 2,000 professional audio products from the world’s leading professional audio equipment manufacturers, the HHB Catalogue is a leading audio technology resource. In picture: the HHB stand will feature a new radio solutions area with products from Yellowtec, Studer and other leading brands.